Read the following Indemnity and Consent HERE. By entering you acknowledge these conditions. 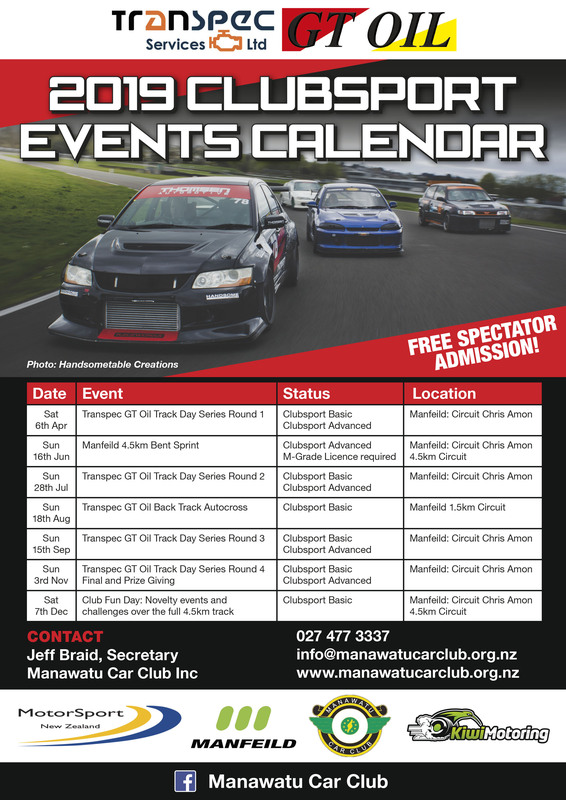 If you already have a competition license enter online via the Motorsport NZ online system using instructions HERE. Go to your profile on www.motorsport.org.nz select the event you wish to enter, Click on the car icon, tick the boxes and click enter. 3. On race day everyone must attend scrutineering before going to Documentation. This is to have the event recorded into your log book. Your vehicle may also require auditing, but either way make sure you have your log book marked by the scrutineers before going to Documentation. 4. On race day you must attend Documentation so the race organisers can check your entry and issue you a transponder. 5. 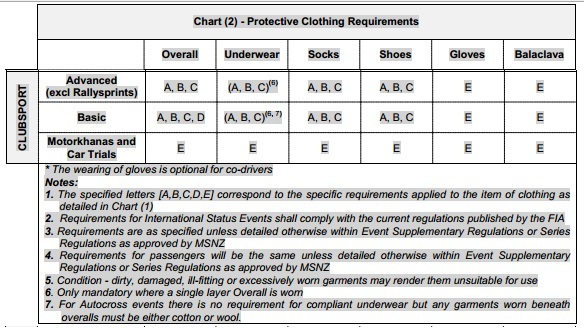 The tables below list the minimum clothing requirements for Clubsport Basic and Clubsport Advanced Events. 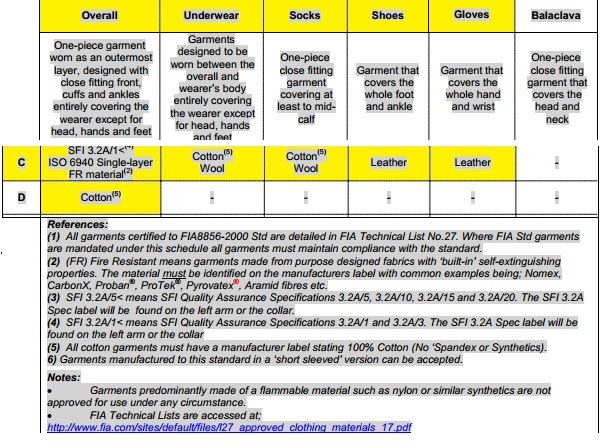 You are required to wear the correct apparel.